So now I have finished one book while home sick this week. 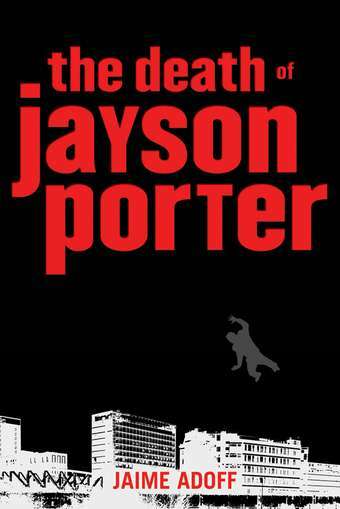 The Death of Jayson Porter is just…excellent. This novel in verse is the story of sixteen-year-old Jayson, who contemplates suicide on a daily basis because of the horrors of his everyday life. His white mother beats him senseless regularly, runs off with strange men, drinks heavily, and can’t hold down a job. 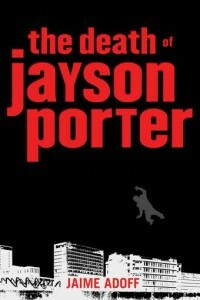 His black father is a junkie living in an even more dangerous part of Jayson’s florida town than he does. Jayson buses to a private school in a nearby town, paid for by a mysterious benefactor whose true identity brings some of the biggest heartbreak and hope in the book. Jayson dreams of jumping from the balcony in front of his 18th floor apartment-his death, he feels, is something he can control. The title of the book is not misleading, but it’s also not quite the death one would imagine. This book is sharp, real, devastating, and perfect for teens. Adoff gets the language of inner city teenagers down perfectly, and the story-in-verse format works beautifully with it. And it provides real hope in an incredibly bleak situation. This is one of the most powerful books I’ve read this year, and I think reluctant readers will be drawn to the change-up in traditional format the way they respond to Walter Dean Myers’s Monster.